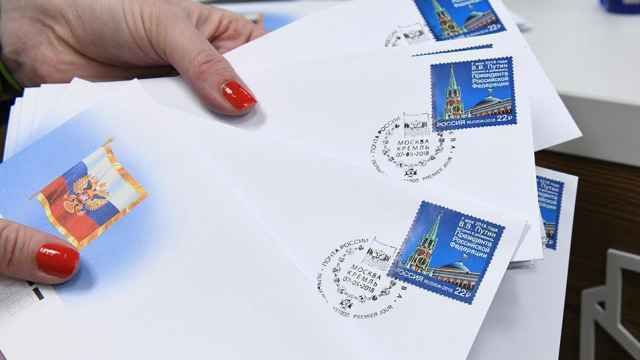 This Sunday, Sept. 9, voters in 22 different regions across Russia, including Moscow, will elect mayors and local legislative assembly deputies. 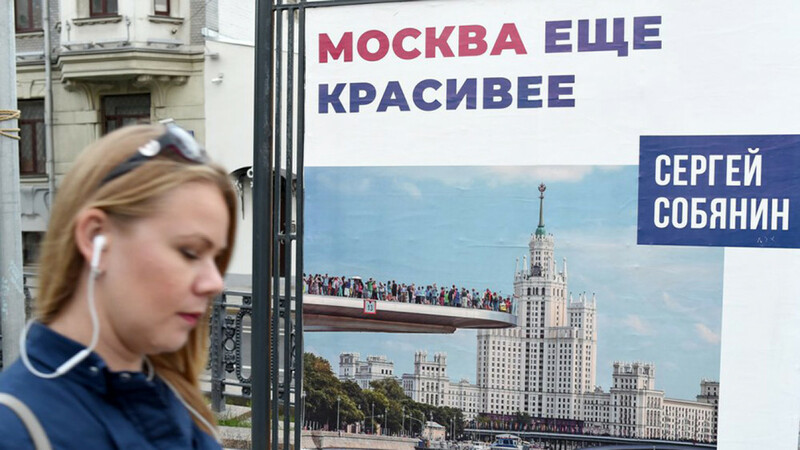 Seven regions will also be holding special elections for seats in the State Duma. In Moscow, incumbent mayor Sergei Sobyanin faces four challengers in the vote, but is widely expected to cruise to victory. 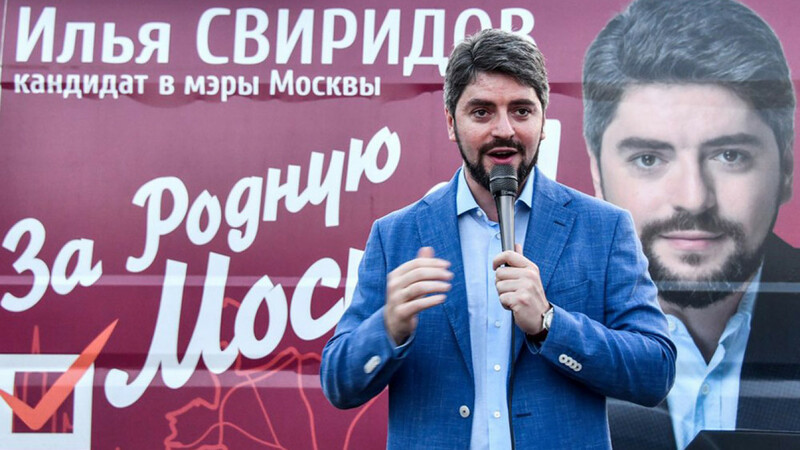 Three opposition figures were denied the chance to run in the race because they couldn’t pass the so-called “municipal filter,” a law requiring candidates to gather signatures from majority Kremlin-approved Moscow council members. 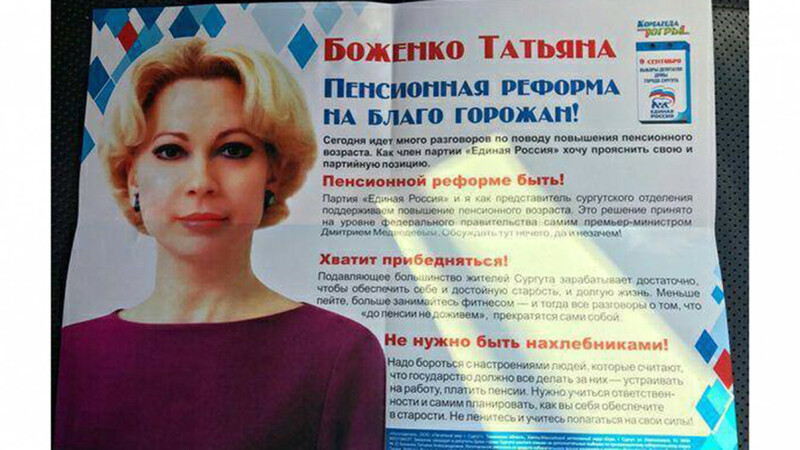 The election posters in Moscow and around the country reveal the creative — and often wacky — ways that candidates are attracting voters to their cause. 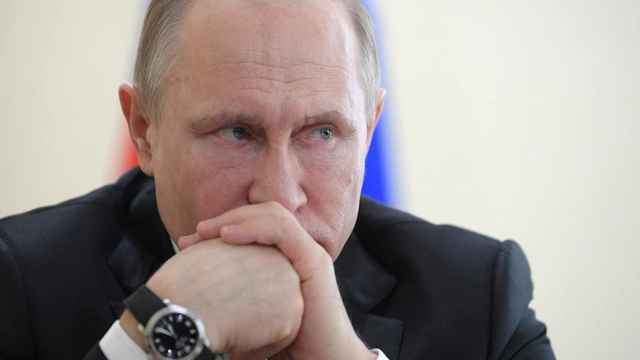 Moscow's incumbent mayor, from the ruling United Russia party, was appointed by the city legislature in 2010 after the sacking of his predecessor, Yury Luzhkov. 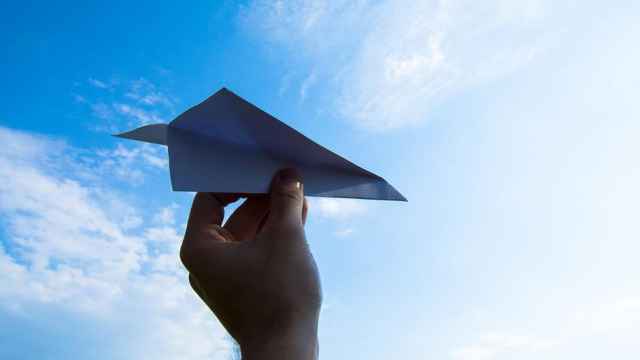 In 2013, Sobyanin was re-elected as mayor in city-wide elections with 51 percent of the vote, narrowly escaping a run-off election against opposition politician Alexei Navalny, who won 27 percent of the vote. 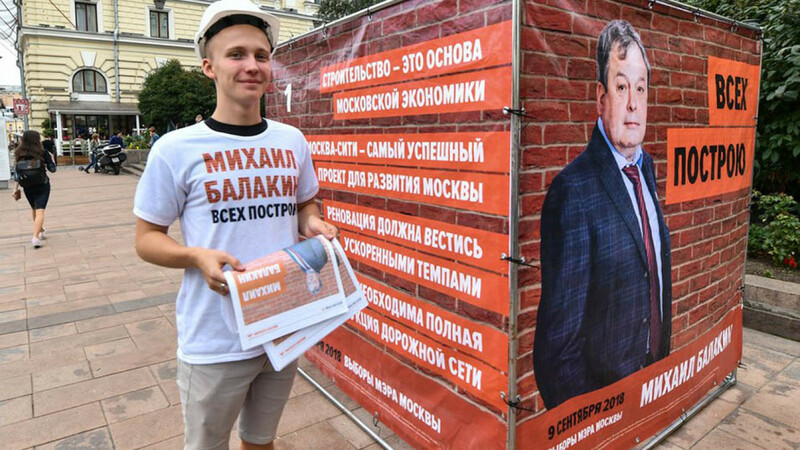 Sobyanin's re-election campaign this year has emphasized the popularity of his renovation drive over the past years, with slogans such as "Moscow is even safer" and "Moscow is even more beautiful." Sviridov is a lawyer and the current head of the Tagansky Municipal district. In his campaign, he has promised to reduce fares for public transport by 50 percent and to launch a referendum on a controversial government plan to raise the pension age. 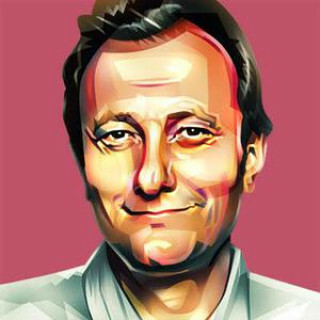 Degtyarev, considered a potential long-term successor of LDPR's founder Vladimir Zhirinovsky, ran for Moscow Mayor in 2013, when he received 2.86 percent of the vote. Balakin, a businessman with an estimated worth of $1.7 billion, refers to himself as a representative of ex-Moscow Mayor Luzhkov. 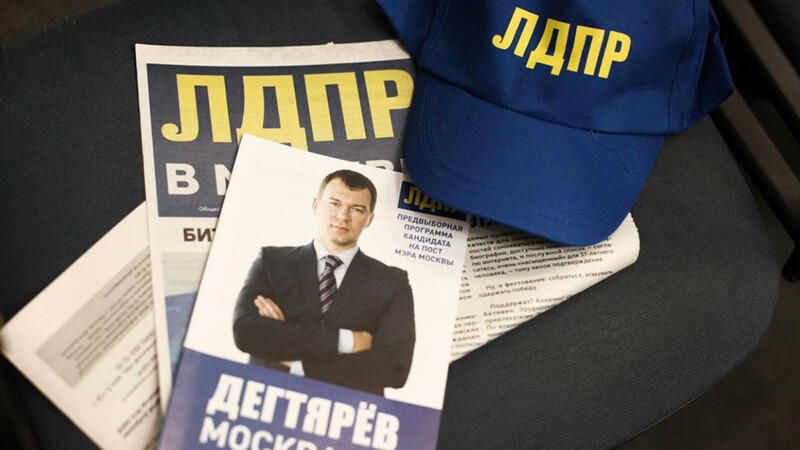 He is promoted on social media by a Telegram channel called "Luzhkov's Candidate," though a spokesperson for the ex-mayor has denied any relation. 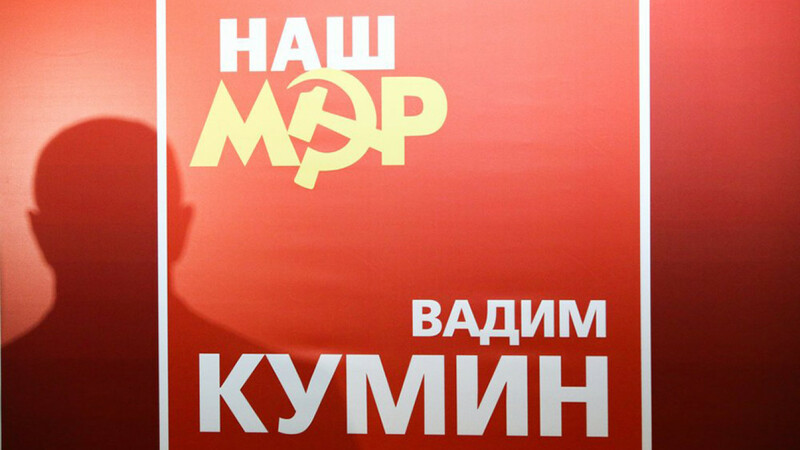 Kumin, a relatively unknown former banker and businessman, was nominated as the Communist Party's candidate despite coming third in the party's primaries. 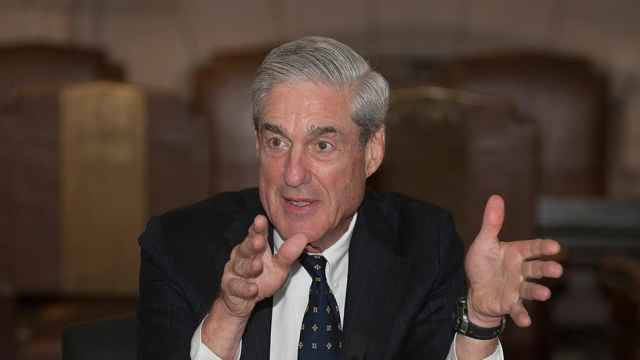 In a recent interview, he said that his name recognition in Moscow was “around 1 to 2 percent." 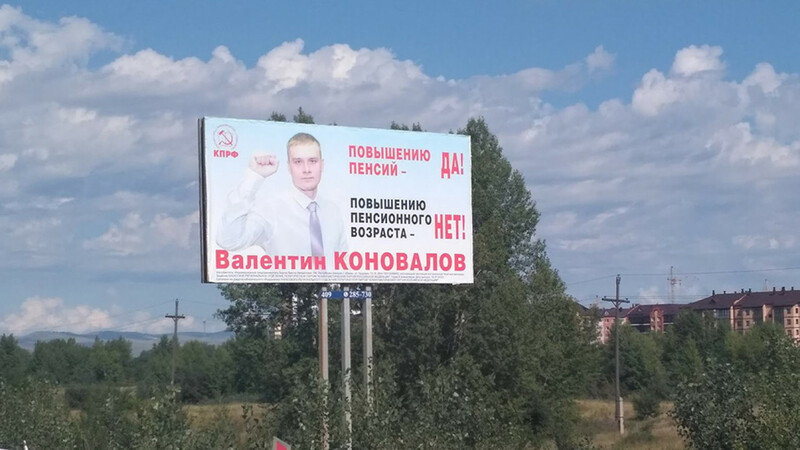 The Communists of Russia in Ulyanovsk have released a cryptic set of election slogans featuring fish. "Mackerel is the fish of the future!" — Igor Lebedew (@mr_sheriff) 30 августа 2018 г. "We'll bring back our hot water." Communist Party. Location unknown. "Simply a good person." Sergei Vedeneyev. Tulsk region. "We will revive a mighty nation." V. Kozayev. Communists of Russia. Rostov region. "Women don’t fight. They do what is supposed to be done." Yelena Maysuk. A Just Russia. Tyumen region. Oksana Stolbova. A Just Russia. Belgorod. "Yes to an increase in pensions! No to an increase in the pension age!" Valentin Konovalov. KPRF. Khakassia. "The pension reform is for the wellbeing of our citizens. The pension reform will happen! Stop pretending to be poor! You don't need to be a freeloader!" Tatiana Bozhenko. United Russia. Surgut.